This badge holder can identify the major IBM i software and hardware components, can access and communicate with this system, and describe the core tasks performed by the System Administrator. 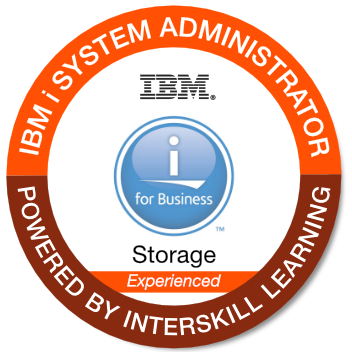 This person can describe the strategies used for storage in an IBM i environment and explain how redundancy features such as; RAID, mirroring, and clustering are implemented. IBM employees can find the course link here.